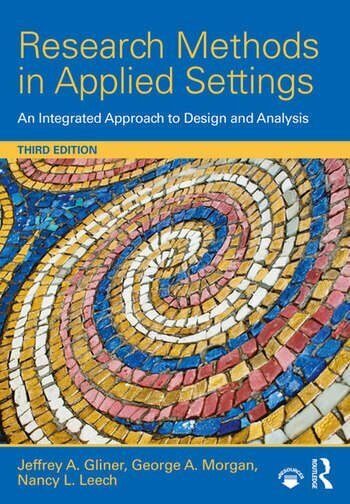 This text teaches readers how to plan, conduct, and write a research project and select and interpret data through its integrated approach to quantitative research methods. Although not a statistics book, students learn to master which technique to use when and how to analyze and interpret results, making them better consumers of research. Organized around the steps of conducting a research project, this book is ideal for those who need to analyze journal articles. With teaching experience in various departments, the authors know how to address the research problems faced by behavioral and social sciences students. Independent sections and chapters can be read in any order allowing for flexibility in assigning topics. Adopters applaud the book’s clarity and applied interdependent approach to research. The book emphasizes five research approaches:　randomized experimental, quasi-experimental, comparative, associational, and descriptive. These five approaches lead to three kinds of research designs which lead to three groups of statistics with the same names. This consistent framework increases comprehension while avoiding confusion caused by inconsistent terminology. Numerous examples, diagrams, tables, key terms, key distinctions, summaries, applied problems, interpretation questions, and suggested readings further promote understanding. More examples from published research articles to help readers better understand the research process. New Research in the Real World boxes that highlight actual research projects from various disciplines. Defined key terms in the margins and interpretation questions that help readers review the material. More detailed explanations of key concepts including reliability, validity, estimation, ethical and bias concerns, data security and assumptions, power analysis , and multiple and logistic regression. New sections on mediation and moderation analysis to address the latest techniques. More coverage of quasi-experimental design and qualitative research to reflect changing practices. A new appendix on how to write about results using APA guidelines to help new researchers. Online resources available at www.routledge.com/9781138852976 that provide instructors with PowerPoints, test questions, critical thinking exercises, a conversion guide, and answers to all of the book’s problems and questions. Students will find learning objectives, annotated links to further readings and key concepts, and key terms with links to definitions. Intended for graduate research methods or design or quantitative/experimental research methods courses in psychology, education, human development, family studies, and other behavioral, social, and health sciences, some exposure to statistics and research methods is recommended. Jeffrey A. Gliner is Professor Emeritus of Occupational Therapy at Colorado State University. He taught graduate level research methods, statistics, and program evaluation courses to masters and doctoral level students for more than 20 years. George A. Morgan is a Professor Emeritus of Education and Human Development at Colorado State University. He taught research methods and applied statistics to graduate students in several departments at Colorado State. In addition to writing textbooks on SPSS and research methods, he currently advises students on their dissertation research. Nancy L. Leech is a Professor at the University of Colorado Denver. Dr. Leech is currently teaching graduate level courses in research, statistics, and measurement.